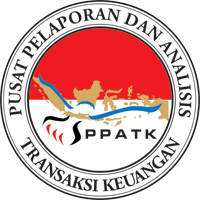 PPATK (Pusat Pelaporan dan Analisis Transaksi Keuangan)or Indonesian Financial Transaction Reports and Analysis Center (INTRAC) is an Indonesian independent agency that deals with financial information intelligence, headquartered in Jakarta. The Institution was formed in 17 April 2002 to preventing and eradicating the crime of money laundering and financing of terrorism in Indonesia. The organizational structure of PPATK comprise of Head, Deputy Head, Other Structural Positions, and Functional Positions. Since 2011, the Agency was lead by Muhammad Yusuf as a Head of PPATK. He was appointed as Head of PPATK based on Presidential Decree Number 160/M Year 2011 for the term of 2011-2016. 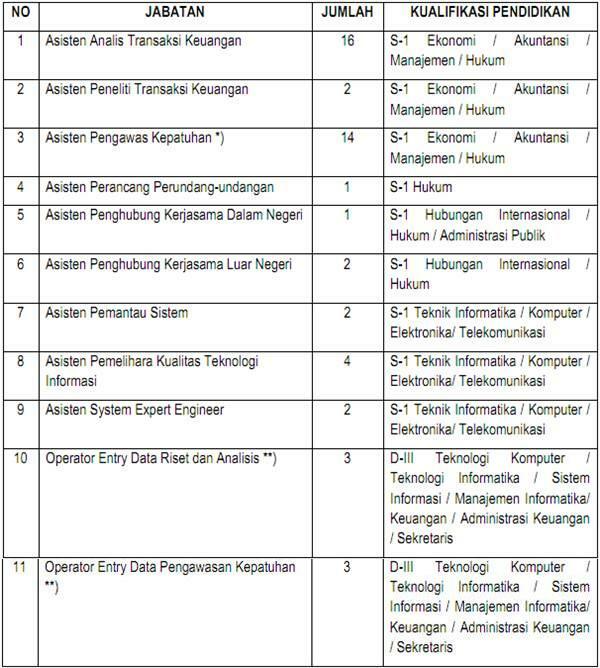 For detailed information about jobs requirements and how to apply in each positions above, please refer apply from PPATK on following link below. Registration by online through SSCN BKN (3 - 17 September 2013). After registering online, the applicant must send the application to PO BOX 3300 JKT 10033 Jakarta (received by the committee no later than 22 September 2013). All applications are appreciated and will be treated confidentially.